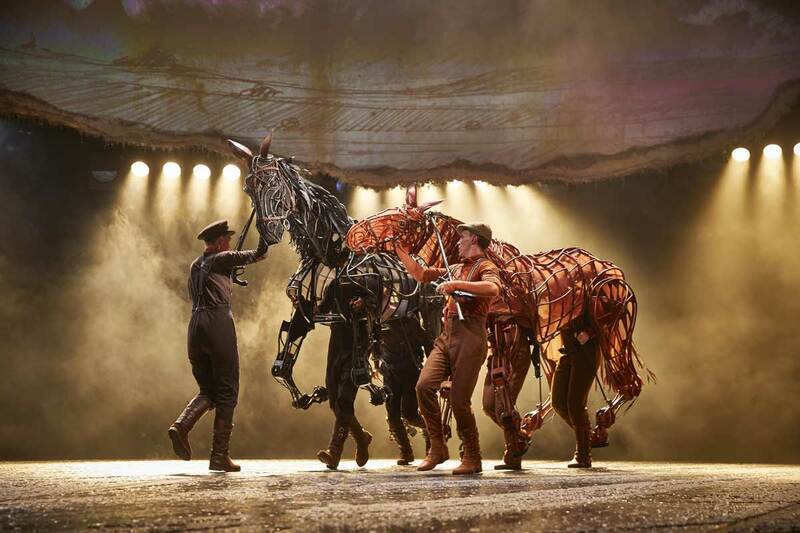 The National Theatre’s acclaimed production of War Horse, visits Milton Keynes Theatre this September and runs from Wednesday 19th September to Saturday 6th October 2018. 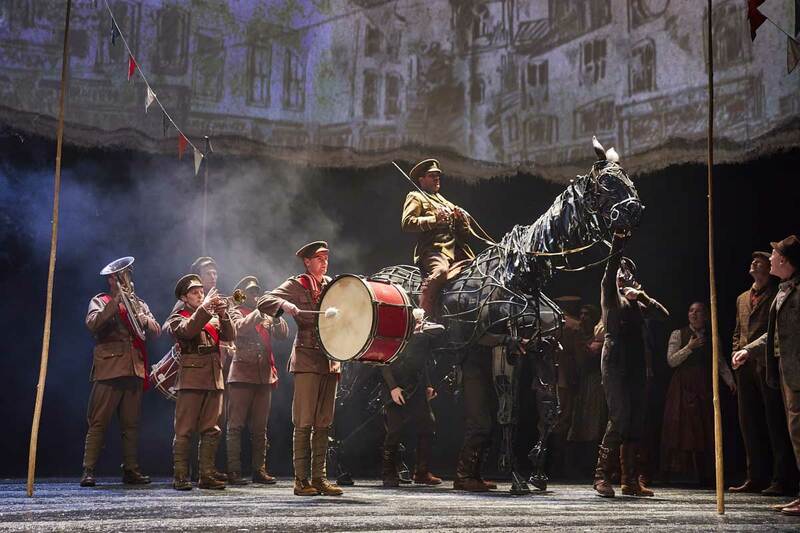 The tour of War Horse coincides with the Centenary commemorations of the end of the First World War and follows the production’s enormously successful tour of the UK and Ireland in 2013-2014. War Horse, which has been seen by over seven million people worldwide, has won 25 awards including the Tony Award for Best Play on Broadway. 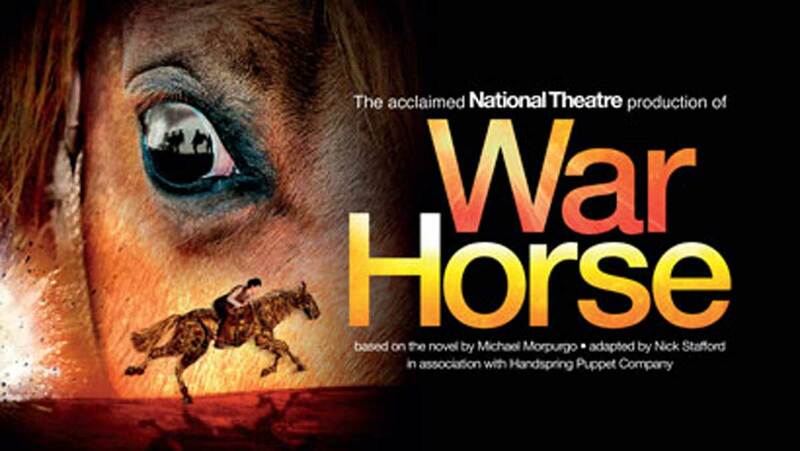 Directed by Marianne Elliott and Tom Morris, Nick Stafford’s adaptation of Michael Morpurgo’s remarkable story of courage, loyalty and friendship, about a young boy called Albert and his horse Joey, set against the backdrop of the First World War is the most successful play in the National Theatre’s history. It features ground-breaking puppetry work by South Africa’s Handspring Puppet Company, which brings breathing, galloping horses to live on stage. War Horse received its world premiere on 9th October 2007 at the National Theatre, where it played for two seasons before opening at the New London Theatre in March 2009. Since then, War Horse has been seen in 97 cities in 10 countries, including productions on Broadway, in Toronto and Berlin, with touring productions in the UK and Ireland, North America, the Netherlands and Belgium. A Chinese-language production opened in Beijing last year, and is currently running in Shanghai. War Horse is,designed by Rae Smith, with puppet direction, design and fabrication by Basil Jones and Adrian Kohler for Handspring Puppet Company, lighting by Paule Constable, and movement and horse choreography by Toby Sedgwick, with video design by Leo Warner and Mark Grimmer for 59 Productions, songmaker John Tams, music by Adrian Sutton and sound by Christopher Shutt.